The 8th grade Washington DC Trip is a trip that students (and chaperones) remember for a lifetime. Students have the opportunity to visit and see buildings, museums, monuments, and countryside that they have heard about since they were in preschool. (See the itinerary for details.) The value of the experience is magnified beyond a typical family vacation thanks to the incredible tour guides who are with the group from the moment they land on the east coast. These guides provide an immense amount of knowledge, historical facts, and interesting trivia from a Christian perspective that is geared to hold the attention of junior high students, It is a fast-paced whirlwind of a trip! Students begin their mornings with breakfast at 7 am, and have an action-packed itinerary that typically has them ending their day in devotions around 10 pm. 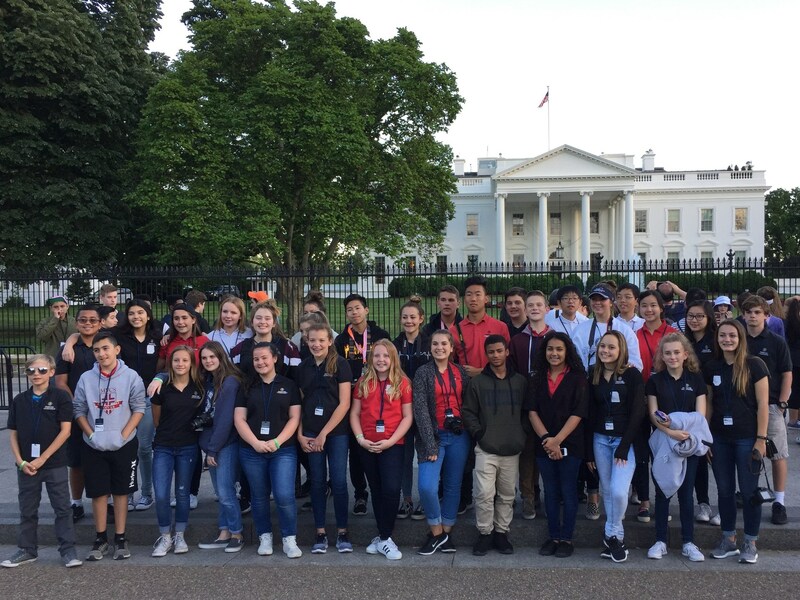 While known as the "Washington DC Trip," this seven-day experience includes visits to various locations around Washington DC, Gettysburg, Pennsylvania, the Amish area of Pennsylvania, and New York City.